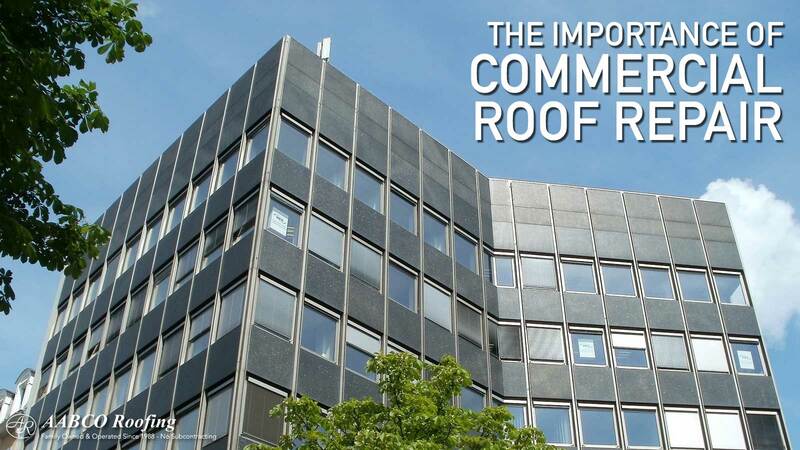 A safe and well-maintained roof is a vital component of any building’s structural integrity, and that’s why the importance of commercial roof repair is so high. A well-built roof protects the building’s interior from severe weather and even helps with fire prevention. A variety of problems can plague your roof’s health such as standing water, blisters, and gaps in flashing. It’s imperative to upkeep commercial roofing so that massive repairs don’t cause major financial issues later. Roofs are made with materials that are meant to be flexible to a certain extent, but too much moisture or heat can create blisters that allow moisture to seep in and weaken its structure. These issues prematurely age the roof and reduce its effectiveness to protect the interior of the building and its foundational supports from severe rain, debris, and wind. Standing water has profound adverse effects on a roofing system. It can lead to leaks that deteriorate your roof leading to water intrusion that often causes a variety of health hazards like bacteria and mold. Unpleasant musty smells could also signify that water has infiltrated the roof or other parts of the building. Standing water also severely weakens the roof’s supports as materials like wood and metal decompose and rust. Proper drainage is critical to your roof’s health. If drains or scuppers become clogged with waste and debris, water pools on the roof. Gaps in flashing often cause water to permeate the building. Also, cracks or worn seams on the roof allow water to gain access into the interior of the building. Standing water is heavier than you think and puts excessive stress on the roof and other structural components. Skylights are other areas that can potentially cause leaks if the seal around them is damaged. One factor that many fail to account for is runoff from adjacent buildings. A nearby roof may shed debris and water onto your structure and your building may not have enough drains to keep up with the excess water. Debris falling off adjacent structures can also cause additional stress to a poorly maintained roof. Roof design is fundamental to a roof’s durability and lifetime. A rooftop in Florida will require different specifications than one in Maine. It’s essential to build the right type of roof for your building. Regular roof inspections can help address any maintenance issues before they become catastrophic. Creating a regular plan for preventative maintenance is vital to your commercial business’s structure and can save thousands of dollars in emergency repairs or damaged goods. Its recommended that you have your roof inspected at least twice a year by a professional or facility manager. The spring is a good time to do inspections since the weather is milder and maintenance issues can be fixed before summer and extreme weather conditions like hurricanes set in. A professional should check for tears or gaps in flashings or other vulnerable spots. Drains, scuppers, and downspouts are also critical areas to check for debris or blockages. Make sure that the seals around the roof, equipment, and vents are also secure. Pitch pans should be checked to make sure that the metal isn’t pulling away from the membrane of the flashing and that it’s not cracked or broken. Also, ensure that the pan holds water. Make sure that all of the equipment on the roof is in good working order to prevent future leaks and problems. Maintenance problems don’t have to be a headache. As long as you are proactive with the roof maintenance on your commercial building, you should be able to prevent many issues from ever evolving to a serious stage of neglect.